St. George Bank is a provider of credit cards, home loans, personal loans, bank accounts, investment products, and superannuation funds. 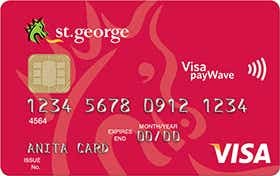 If you’re considering an St.George card, check out what’s available below in our comparison table based on a monthly spend of $1,000. Please note that this table has been sorted by purchase rate (lowest to highest). 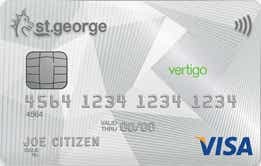 St. George Bank also offers business credit cards, which are not summarised on this page. To find out more about business credit cards, visit our Business Credit Cards section of the CANSTAR website. 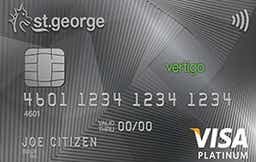 Security: Card protected by 24/7 fraud monitoring for suspicious transactions; and Verified by Visa when shopping online. Online and mobile: Cards can be managed using online banking or the mobile banking app on compatible smartphones. Minimum income required for eligibility: $75,000 p.a. 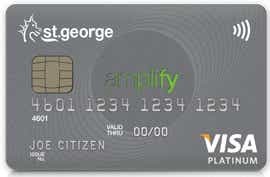 Rewards program: Choice of Amplify Rewards or Amplify Qantas. Earn rewards points for money spent on purchases using the card. Minimum income required for eligibility: $30,000 p.a. Minimum income required for eligibility: $25,000 p.a. Digital wallet: Smartphone payments via digital wallet are enabled for Apple Pay, and Android Pay. Earning minimum income specified for each card (see above). For more information on eligibility requirements, refer to the St. George Bank website. First, check whether you are eligible to apply for a St. George credit card. See above for the eligibility requirements. If you meet the eligibility requirements, you can apply online – it takes around 10 minutes for new customers and just 5 minutes for existing St. George customers, according to St. George Bank. Have your ID and income details handy and check our list of documentation you may need when applying for a credit card. You can usually expect to receive an instant response; however, in some cases, the card provider will contact you to request further information before the card can be approved. You can check your application status at any time by calling 13 33 30. 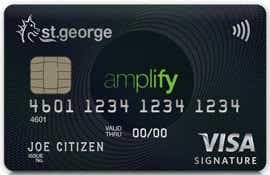 How do I activate my St. George credit card? You will have to activate the card when it arrives before you are able to use that card. Activate the card online, using the activation code included in the letter that came with your new credit card. How do I manage my St. George credit card through online banking? You can manage St. George credit card through St. George Internet Banking or using their mobile banking app. Use online banking to do things like view your recent transaction history, view your balance, and more. How is interest calculated on my St. George credit card? Interest is charged when you carry a balance on your St. George credit card. Interest is charged on cash advances from the date of withdrawal (fees and charges apply) and balance transfers from the date of transfer. 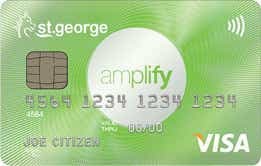 Up to 55 interest-free days apply to St. George credit card purchases if you have paid the balance in full for the previous month’s statement and for the current month’s statement (the statement on which the purchases are listed). What will my credit limit be on my St. George credit card? How do I close my St. George credit card account? Best known as the bank with the dragon logo, St. George Bank was founded in 1937 in the southern suburbs of Sydney as a co-operative building society. Today they have over 2.6 million customers in Australia. In 2008, St.George Bank became part of the Westpac Group. They achieved full banking status in July 1992 and two years later they led the way into the future by launching electronic banking for their business customers. Later St. George was the first bank to launch SMS Alerts in 2004. St. George Bank supports the Australian community in many ways. They provide Disaster Relief Packages for affected customers, such as after the 2016 bushfires in Western Australia. They established the St.George Foundation in 1989 as a registered charity, and to date they have given more than $15 million for better quality of life for Aussie kids. St. George has a charitable gift-matching program for their employees. Employees also receive one paid day of leave each year to volunteer for a worthy cause, and can choose to be involved as a mentor through NGOs, social enterprises, and Indigenous Enterprise Partnerships. St. George protects the environment by providing interest-free loans of up to $4,000 per year to purchase and install environmentally-friendly modifications such as solar hot water systems and energy-efficient appliances. St. George also participates in Earth Hour each year. Showing Rewards products in Canstar’s database with links to lenders’ websites. The display is sorted by Star Rating (highest to lowest) for credit cards that offer signup bonuses to consumers for a spend of $5,000 per month.